Kifta (or kafta, kefta, kofta, or kufta, depending on your dialect and spelling preferences), is a basic Arab recipe that is eaten, in its simplest form, either grilled, broiled, baked, or fried. Additionally, the same kifta mixture is used in dozens of more complex dishes which include vegetables and/or sauces. Once you have this basic recipe down (and it truly is very simple), you have the basis of quite a few other dishes. If you’re baking, broiling, or grilling the kifta, as I did here, you’ll want an 80% to 85% lean beef, so that it stays moist. If you will be using the kifta in a dish that requires a sauce or other similar preparation, you may want to go for a leaner mix, so that the sauce isn’t overwhelmed by the fat that will come out of the meat. As is often the case, the amounts of these ingredients aren’t set in stone. You can adjust the amount of spice or vegetable to your liking. 1. Dice the onion into fairly small pieces. 2. Mince the washed parsley leaves. 3. Combine all the ingredients together. Mix well, but don’t overmix, as the meat will get tough if you do so. 4. Decide how you want to shape it, finger-like pieces being the most common shape. Of course, you can make the kifta into meatballs, small hamburgers, or even spread the entire mix into a pan and slice it into squares after baking. 5. Cook your kifta! Again, times and temperatures depend on the method, but obviously, grill, bake, or fry until cooked through. 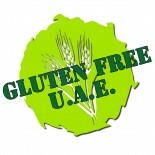 This entry was posted on 06/08/2012 by glutenfreeuae in Arabic, Recipes and tagged arabic, beef, dinner, glutenfree, lamb.